Talay Thai serves authentic Thai food with an urban twist – it’s a modern, warm and avant-garde “drinking hole” where suits and food collide. 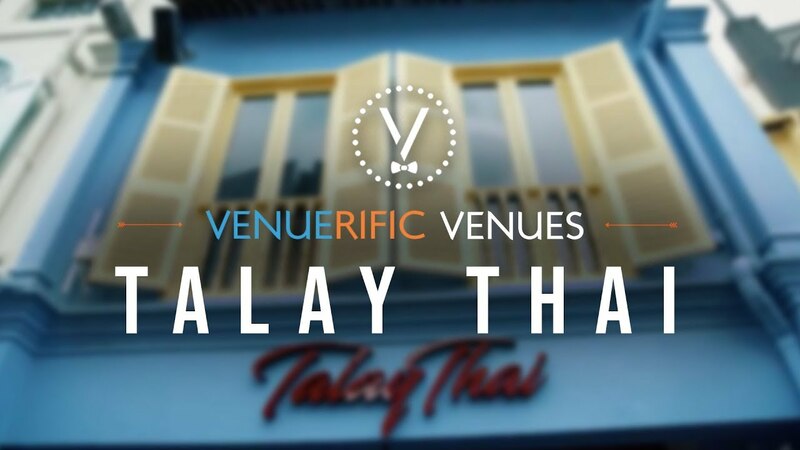 Talay Thai is set to make waves as the newest Thai tapas concept in Singapore situated at the hottest wine and dine precinct – Clarke Quay. The interior décor exudes a resounding punch of personality; the orchestrated harmony of the rustic deep red floors, electric fish scale feature walls and ornate traditional Thai displays is a sight to behold and drinking hole worth a go. With an extensive menu of over 50 items, Talay Thai will leave you spoilt for choices. From more than 20 variety of tapas bites to unique Thai cocktail concoctions, enjoy the authentic Thai experience and take your taste buds on a flavour explosion. Host your event at our restaurant and enjoy our delicious authentic Thai cuisines. Perfect for corporate event, networking, client dinners and birthday parties.